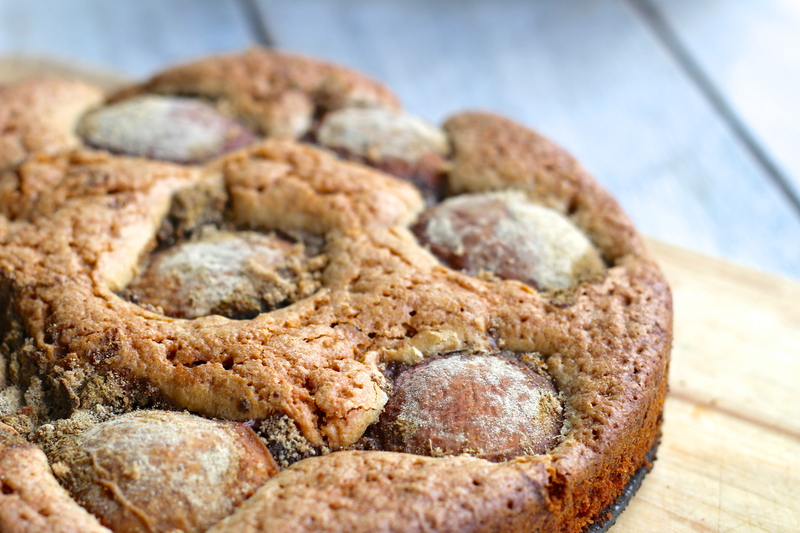 Not long ago I came across this famous plum torte, via Deb on Smitten Kitchen. It looked both simple and delicious; a winning combination. So I made it. 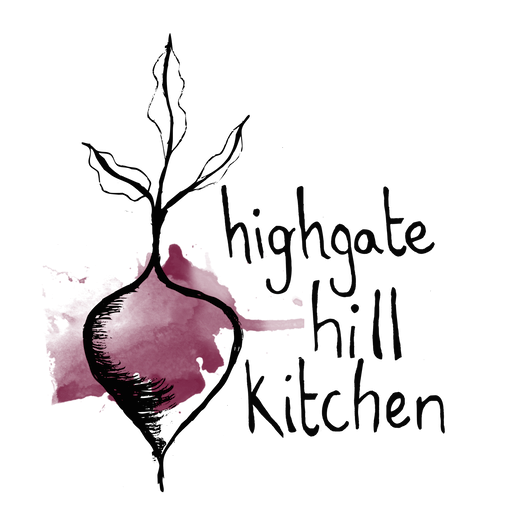 And it was worth the fuss – buttery dough interspersed with jammy cooked plums, not too sweet, but just sweet enough. There were two things that won me over to this cake. The ratio of dough to fruit meant that the fruit was an integral part of the cake and never got lost amidst the batter. And it is super-easy to make which, when you’re trying to bake with a small person clinging onto your legs imploring you to pick her up, is incredibly helpful. Plus it was delicious – I mentioned that, right? But although I love butter (who doesn’t, amirite?! ), I don’t always want to bake with it. And when I’m baking a cake that is going to sit on the bench to be eaten for afternoon tea, I like something a little denser and – dare I say it – a little healthier. 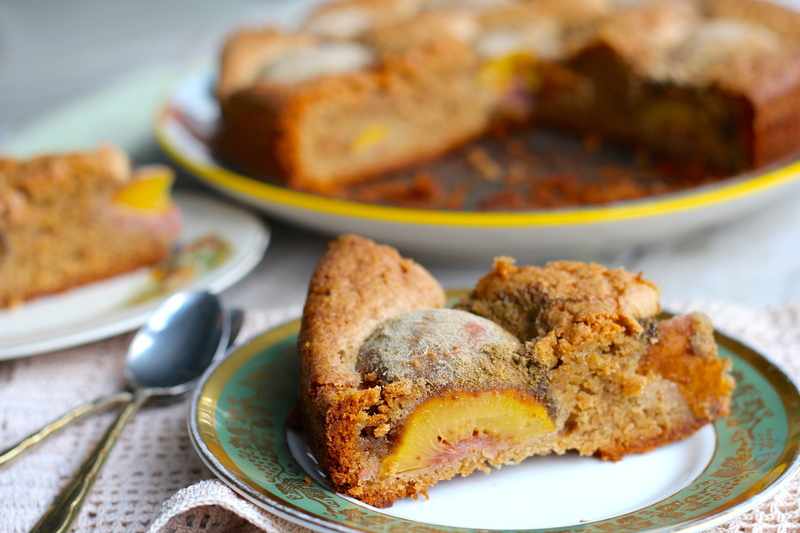 So I’ve tweaked the plum torte and come up with a rather tasty Peach Cardamom Cake. The ratios and measurements are mostly the same, but I’ve replaced the plain flour with buckwheat, the butter with coconut oil, white sugar with brown, cinnamon with cardamom, and of course the plums with peaches. If you wanted to go vegan I daresay you could easily replace the eggs with a vegan substitute, but I haven’t tried it out myself so let me know if you give it a go. The results were wonderful – the cake rose up, buckling in the peaches and filling the kitchen with a sugary scent. 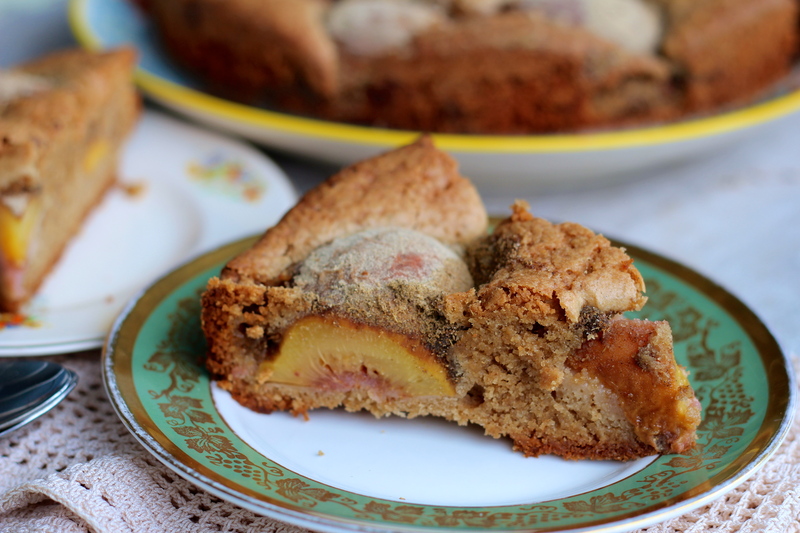 The cardamom is strong in this cake, and paired so well with the peaches, as did the slightly nutty flavour of the buckwheat flour. This is a wonderful afternoon cake with a hot cup of jasmine tea, or a more decadent dessert dusted with icing sugar and eaten with a big dollop of fresh thickened cream. Before you head out to buy peaches though, I do have one important tip. 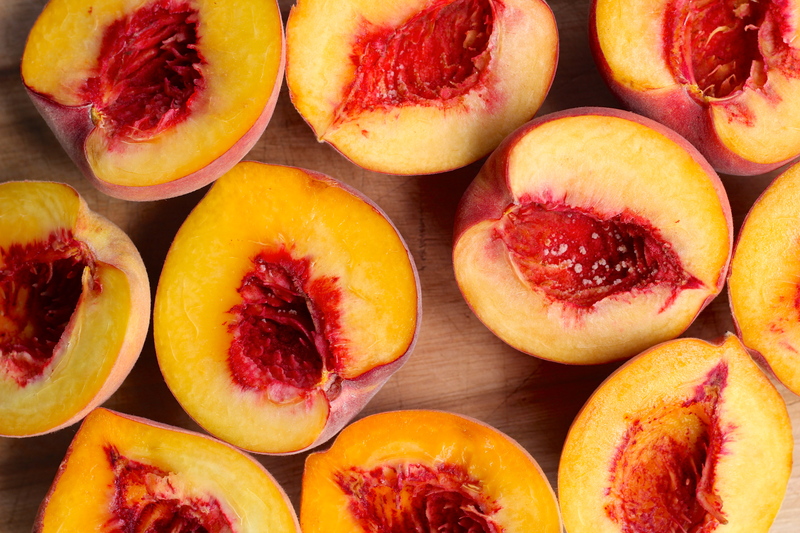 Peaches come as both clingstone and freestone. The clingstone variety are perfect to bite right into, but when you halve them the flesh will cling to the stone in the middle, which is incredibly frustrating when you’re trying to make nice neat halves to look pretty on your cake. With the freestone variety, on the other hand, the flesh comes cleanly away from the stone. You can’t usually tell what is what from the outside, so just ask your fruiterer to cut one open for you. Using a sharp knife cut the peaches in half along the seam, then twist to separate the two halves, discarding the stone. You’ll need enough peach halves to cover the base of your 22cm springform tin. In a small bowl sift together the flour, baking powder, salt, and one teaspoon of the ground cardamom. In a larger bowl whisk the coconut oil with one cup of the brown sugar until well combined. If your coconut oil is hardened, melt it on a low heat first. Beat the two eggs into the wet mixture, then add the dry ingredients, mixing until just combined. Grease the sides of your springform tin with a bit of coconut oil, and line the bottom with baking paper. Spoon the batter into the tin and smooth out the top with the back of a spoon. Arrange the peaches cut side down all over the batter, covering the whole cake. Sprinkle with the remaining sugar and cardamom. Bake in your preheated oven for 45 – 50 minutes. Leave to cool in the tin, then gently remove, and tuck in. This looks so fantastic (even better than the original). Adding to my bookmarks! It is definitely worth baking – so yum! Let me know how it goes.